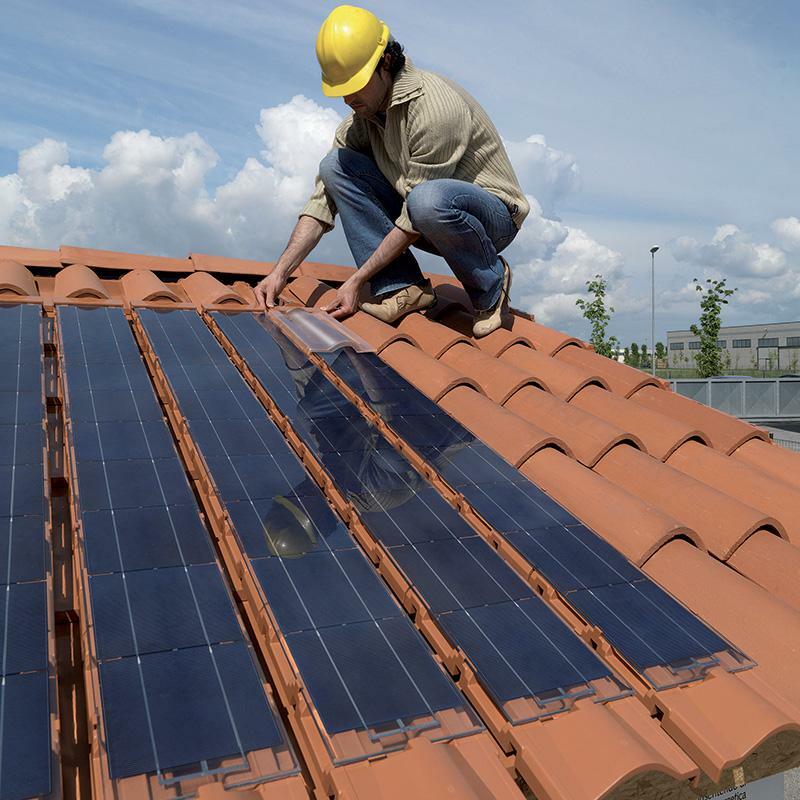 The new way of integrating photovoltaic systems into roofs. 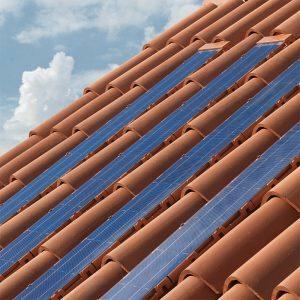 Techtile Smart consists of supports onto which photovoltaic modules of various lengths are installed that are then positioned on a Techtile Basic roof. Its versatility makes it an unmatched tool for designers who want to add value to their projects. Techtile System: is the revolutionary system that transforms a roof into active technology that contributes to your home’s energy efficiency. Techtile System products fall within the category of “integrated systems with innovative characteristics”. Their ductility and glass covers allow you to obtain various levels of architectural integration. 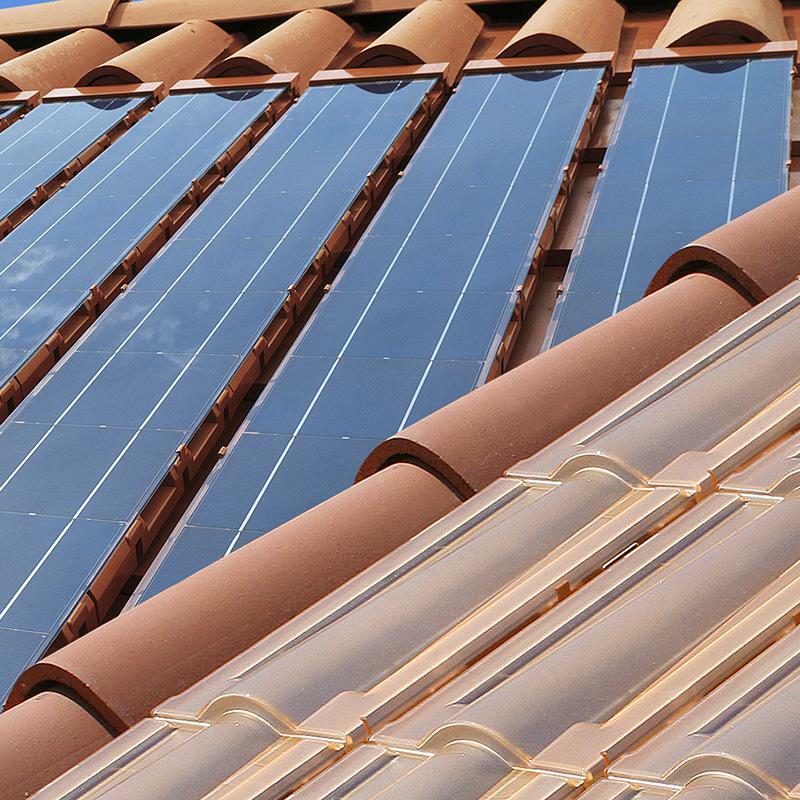 With the Techtile Smart system, you can install the modules with various configurations, thereby allowing for photovoltaic systems of various shapes and sizes. The modules can be arranged in different ways: vertically, horizontally, alternated with the brick elements of the roof. All Techtile components are made of select high-quality materials, which make them long-lasting, weather-resistant, and resistant to natural deterioration. 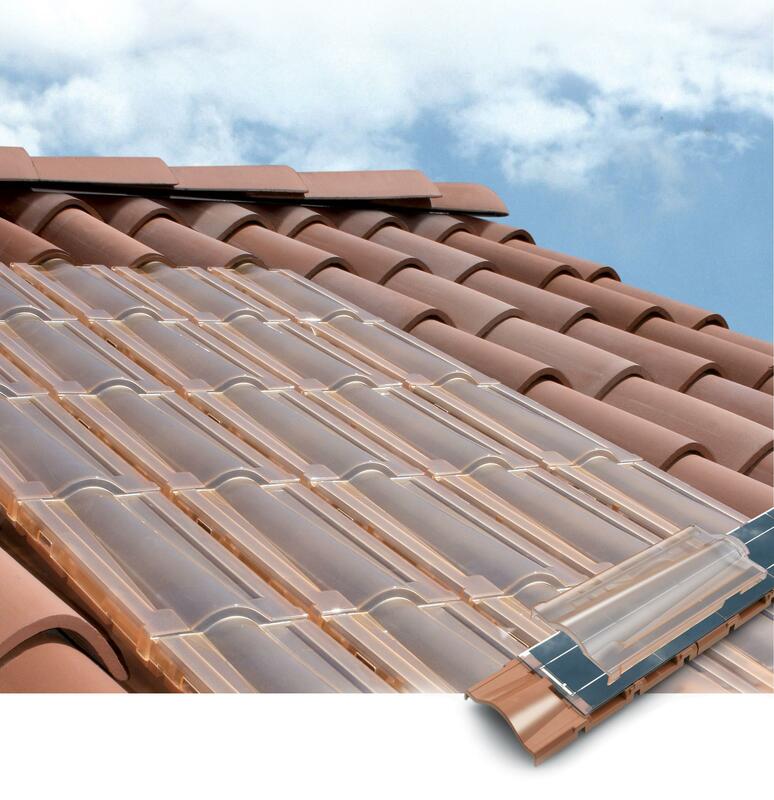 To install the Techtile Smart modules, you need to prepare the roof with the Techtile Basic system. 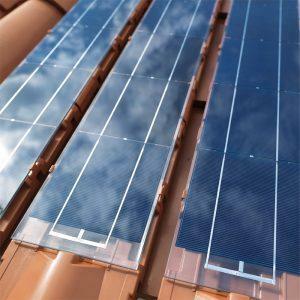 What makes Techtile Basic so revolutionary – in addition to the unrivalled architectural integration it allows for – is the possibility of installing different types of solar energy systems on one roof. 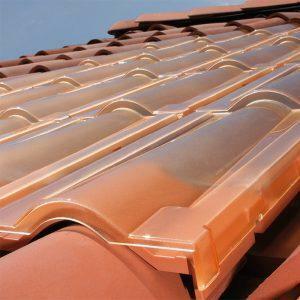 Techtile Basic can be positioned on any type of roof, just as any ordinary terracotta roof tile. 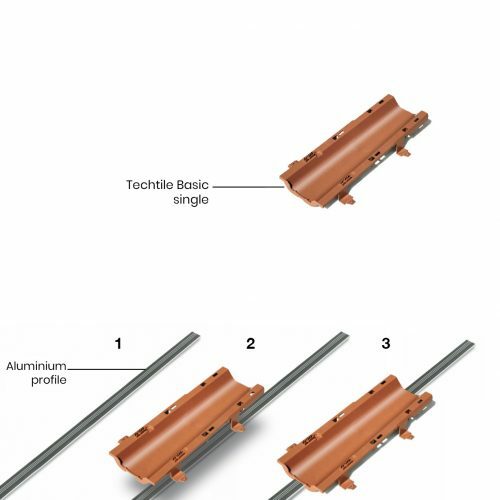 Techtile Basic is available with both individual elements or pre-assembled panels and can be installed on wooden or concrete roofs or fillets, using normal screws and plugs. 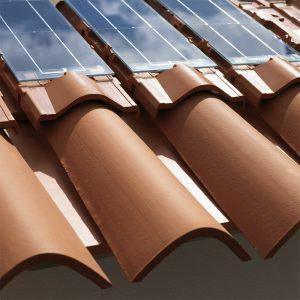 The version with pre-assembled panel makes it possible to build thermally insulated, soundproof, and ventilated roofs. Techtile Basic comes with aluminium profiles that, secured to the roof, allow you to interlock the tiles, thereby facilitating installation. Techtile Smart is installed like any other brick roof tile. Installation is quick, easy, and does not require any equipment. Installation is made easy, thanks to Techtile Basic, which ensures perfect alignment, both vertically and horizontally. Techtile Smart is connected to the electrical panels of the technical compartment just like a traditional photovoltaic system. The Plus protection cover is an accessory that allows the Techtile Smart system to integrate perfectly into the building’s roof. To produce 1 kWp of electricity, you will need about 9 sq.m covered with Techtile Smart and 11 sq.m covered with Techtile Smart and Plus protection cover. The Techtile Smart modules come with a 10-year guarantee on 90% of the minimum power output and a 25-year guarantee on 80% of the minimum power output.